As the most popular type of natural stone surface, granite countertops are always right at home in your kitchen or bathroom. 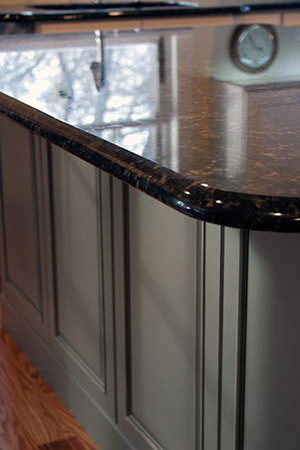 With hundreds of colors and patterns to choose from, a granite countertop brings a unique “one of a kind” look to your home that evokes luxury and quality. The extreme beauty of a granite countertop makes it worth choosing just for aesthetic purposes. Granite is a 100% natural surface, and each slab is unique making the selection a very personal decision based on your tastes. Granite has many natural characteristics including dull spots, fissures and pitting, which add to the stone’s beauty and one of a kind quality. These naturally caused characteristics add unique attributes to every granite countertop, making each stone stand out from manmade materials. Depending on the granite countertop you choose, it may have more or less pitting, dull spots or fissures. See a unique variety of granite samples.